Have usable latex paint you don’t need or want? Want to prevent your left over paint from hitting the land fill? Want to get that paint into the hands of people who need it instead? This is the event for you. 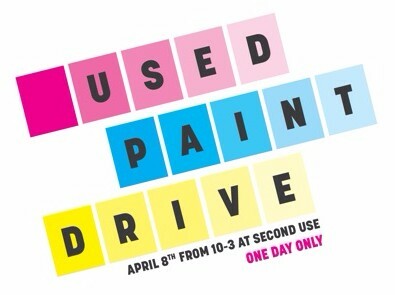 The Used Paint Drive, a paint collection event put on by NOVO Painting and Second Use, is taking place April 8th from 10am-3pm at Second Use in SODO. Wonder who benefits from your paint donations?